Now that the holidays have settled and everyone’s back in the swing of things, I wanted to go ahead and bring you the second part of our December Release Spotlight. As I mentioned in our New Release Spotlight | December 2012, Part 1, December is the slowest month for record releases. Rather than scrape together weekly lists, I decided to break format and recap releases the entire month in two parts. Starting this week, I’ll get back into the weekly swing of things (which a few potential changes for 2013- including some contests and monthly “best of” lists along with the weekly recaps). I’ve got the first batch of releases for 2013 spinning now, so expect the first list of the new year up soon! My Take: This is my second essential pick for December. Memory Tapes, the solo alias of artist/producer Dayve Hawk (formerly of Philadelphia band Hail Social), is arguably the last champion of chillwave still operating within the framework that defined the subgenre at its peak saturation. Unlike most gimmicky musical movement buzzwords, “chillwave,” though a bit awkward to use, is fairly narrowly defined and encompasses a really similar spread of artists. Most of these artists, however, have abandoned the constraints of the movement- chillwave standouts Neon Indian and Washed Out among them. Maybe it’s natural artistic growth, maybe it’s a desire to escape the stigma of a stylistic label that never quite seemed legitimate (it did allegedly originate from what essentially amounts to a satirical blog, mind you), but whatever the reason, the movement has pretty much cleared out for artists like Memory Tapes to trudge forward and more intensely shine. Though chillwave has indisputably declined in relevance (its origins in 2008, its peak in 2009-2010, and its significant drop off in 2011- a short but influential burst), its framework can still be heard all over the bloggy/buzzy/indie scene. The fact that it’s not so saturated or hyped allows for records like Grace/Confusion, which a diminished sense of built-in buzz, to now exist for the genuine musicality and artistic merit of the output. There’s no real reason to make music like this in 2012, other than purely for artistic fulfillment, making this, perhaps, the most honest and focused entry since chillwave’s early, less-hyped days. Memory Tapes’ third proper album, Grace/Confusion is more stylistically similar to his debut, Seek Magic, than last year’s Piano Player. Just like the former, it’s tightly woven with a mere six songs- all of which are lengthy and unconventional in arrangement and structure. It’s a vast improvement over its predecesor and recaptures a lot of the energy and focus of Hawk’s debut (though lacks some of its charm). The record is more personal and plays out fairly remorseful and, at times, spiteful but never loses its pretty self-confident focus- a juxtaposition with its meandering, aloof musical structure. This structure is most certainly by design, and though it can get a bit frustrating with how unwilling Memory Tapes is to provide much to lock onto aesthetically, once you really let yourself escape into the records’ dense and multifaceted layers, it’s a pretty amazing piece of art. Hawk has a unique knack for crafting songs stuffed with samples, effects, and dance tendencies that function as higher and more meaningful- balancing the “sounding cool” elements of many of his peers with a very calculated, love-letter to his various sources of personal influence (especially ’80s dance music- which shines through in a warped, unconventional way). Though it distinctly operates within a predisposed musical framework, Grace/Confusion manges to weave a refreshing and unconventional path not only between each song, but within each song as well. Just when you think a track has built to a point where you understand it, Memory Tapes flips it on its side or completely does a 180 with arrangement, always coming across enjoyable and intelligent, rather than contrived or random. It’s imperfect and sometimes a little too out there, and perhaps an unnecessary (but never redundant) entry to a genere that has mostly moved on. Nonetheless, Grace/Confusion is an immesley enjoyable listen from a top-notch writer and producer, worth a shot even if you’ve grown tired of the stigma that surrounds its scene. Check Out: “Sheila,” the catchiest and perhaps most personal track- also the record’s standout next to its slow-building opener “Neighborhood Watch.” “Sheila” is the best example of strength, balance, and pure musical enjoyment Memory Tapes is capable of when he’s firing on all cylinders. Click “Continue Reading” for the final batch of records I think you should hear before you finally bid 2012 a farewell! My Take: It has now been over 4 years since modern pop punk pioneers Blink-182 reunited (that means they’ve been back together for longer than they even spent on hiatus). Though the group has toured pretty extensively over the past several years, their only new musical output has been 2011’s comeback album Neighborhoods. Plagued by some of the the pre-breakup leftover personal tensions, scheduling issues, and a writing process that left the trio with basically zero personal interaction, the record didn’t match the reinvigorated image of the band being portrayed on the surface and landed nowhere close to fan expectations. Even Blink themselves have since admitted that Neighborhoods suffered from its own process, and was not the comeback album it could have been. The good news is that the band’s new EP, Dogs Eating Dogs, is vastly superior to Neighborhoods in every way and a huge leap forward for the group, finally cementing a proper comeback for a band that confidently seems to have once again found its footing. The fact that it’s the first time Blink has recorded together in the same room in a decade definitely shows how much of a difference that makes. Stylistically, Dogs Eating Dogs most closely resembles the band’s somber and ambient 2003 self-titled album. It doesn’t exactly pick up where that record left off, but certainly expands on its strongest points, also pulling influence from the band members’ various side and solo endeavors (Angels & Airwaves, Boxcar Racer, +44, Travis Barker‘s forays into hip hop). It’s kind of mind-blowing just how much range the EP is able to flex in a mere 5 tracks, without a single misstep (it’s supposed to be a warmup for a new full-length next year, but they’ve been notoriously bad at keeping timeframe promises, so who knows). Most of the tracks are midtempo to uptempo (though unfortunately they never throw back to their double-time punk beginnings), chock full of some of the most polished hooks, infectious sing-alongs, and focused lyrics the group has ever produced. The only “slow” song (at least by Blink standards) is album standout and first single “Boxing Day,” which hammers home the sentiment established on Blink-182: when the band takes stylistically adventurous risks, the results are usually spectacular. Blink-182 is never going to make another Dude Ranch (or even Enema of the State) and fans from back in the day only interested in the pure nostalgia might be better suited to just catch them in concert. As polarizing as Blink-182 was, it was the inevitable byproduct of some late 20-somethings growing up musically and personally. The notion of an eternally adolescent, musically immature, feel-good pop punk band isn’t a realistic longterm prospect. Blink-182 had to grow up, and proved, shocking and dividing fans in doing so, that they actually had the chops and musical sensibilities to pull it off. That was a decade ago. Now 30-somethings, Blink-182 is even more a band removed from the scene that birthed them (and that they pretty solely ushered into the mainstream paradigm- for all intents and purposes they’re basically pop punk’s Nirvana) and, though still immensely popular, aren’t exactly relevant on broader scale (though still very much so to a niche scene). Blink-182 could have easily retreated to the status of legacy touring band- popping up every few years to tour on their back catalogue and releasing an uninspired, very Blink-sounding, record once a decade or so. Instead, they’ve proven their reunion to be genuine in its intention and their legacy and relevance something they still legitimately care about. 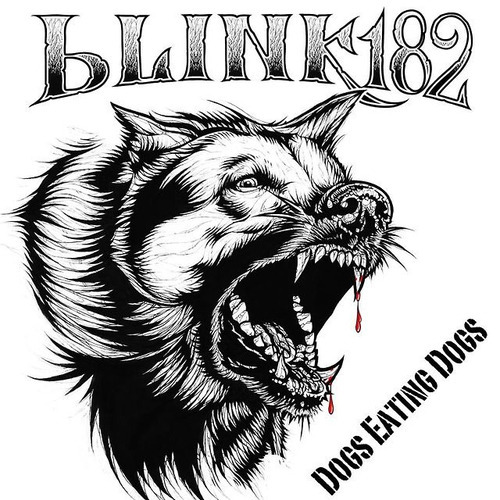 Dogs Eating Dogs is perhaps the first, best indication that Blink-182 are truly back and I’m incredibly curious and excited to hear what comes next. Check Out: “Boxing Day,” which is not only the EP’s strongest track but easy one of the overall best Blink-182 songs of all time. Quick Take: To truly appreciate Big Boi, I have to mentally come to terms with the fact that there may never be another OutKast album, and separate his solo artistry from his impossibly influential legacy. As half of a duo, Big Boi was often overshadowed by his enigmatic partner, Andre 3000. 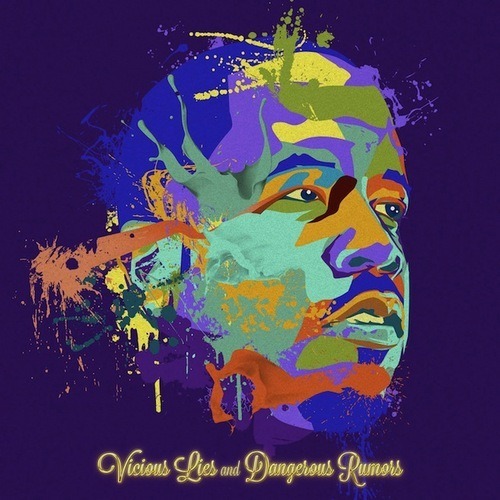 The rapper’s phenomenal 2010 solo debut, Sir Lucius Left Foot: The Son of Chico Dusty, served as a fervent reminder of just how skilled an emcee Big Boi is in his own right and, on a technical level, even has the chops to soar above his former bandmate. Vicious Lies falls a bit short of the impossibly high bar set by Sir Lucius Left Foot, but even falling short of his best, Big Boi is a superior rapper than most. With more guest appearances than tracks (several guests even show up multiple times), the record does occasionally feel claustrophobic and I would have liked to have seen a lot more of Big Boi, but only because his delivery and ferocity most often outshines his guests (Wavves, Phantogram, T.I., Little Dragon, Sleepy Brown, and Theophilus London among them). The benefit of the guests, however, is an often genre-blurring, unconventional hip hop outing that pushes the rapper to the brink of true innovation without ever really losing his southern swagger roots. It’s actually quite astonishing how much more this record resembles the Andre 3000 half of OutKast’s catalogue, in its pop and rock leanings and production turns. 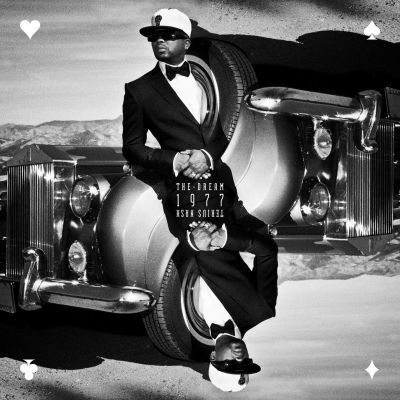 Thematically, Vicious Lies is Big Boi’s most personal outing yet, and his true investment in the material is reflected in how passionately he delivers. Around a third of the tracks come off as missteps, but when he hits hard (and diverse- there’s everything here from vicious street anthems to genre-bending ballads) and regains traction, Big Boi delivers some of the strongest hip hop songs of the year. OutKast might be gone, but Big Boi’s legacy isn’t going anywhere. Check Out: “In the A,” the T.I. and Ludacris featuring track that might be Big Boi’s most intense and biting song ever. The production is seriously epic too. Quick Take: With their third album, Firefly, Witchita-based dream pop collective The Wonder Revolution further expand and refine their main objective (as stated in their name)- to “explore the nature of wonder across a series of diverse musical settings that can only be described as wondermusic.” Comprised of a revolving cast (of about 20) musicians, visual artists, and other skilled creative souls, the band is anchored by the vision of guitarist David Lord. Firefly is the band’s third release of 2012, and though that might seem superfluous, it bears a distinctly different aesthetic than each of its predecessors. It’s also the best of the three. I have a bit of a complicated relationship with collectives. On one hand, I like set lineups because we get to see a singular evolution and blending of perspectives from an established point of reference over time. On the other hand, having a collective brings so many different perspectives, an infinitely more open palette, to the table. Whatever combination comes together for a particular release provides a more unique snapshot of the moods and creative blending on that moment and that moment alone. Firefly benefits greatly from this and is perhaps the band’s most “wonderful” (in the most literal sense of the word) release to date. 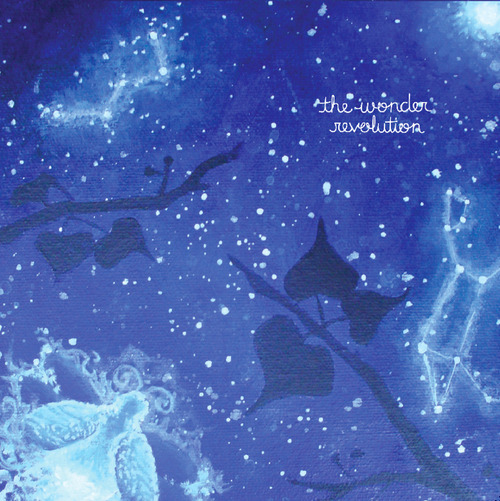 The Wonder Revolution takes a cue from the Mercury Rev, Mew, and Sigur Ros school of dreamy, atmospheric indie pop, creating lush, larger-than-life, ambient textures and layers. The incredible landscape painted by the group’s skilled musicality (and really strong production) perfectly compliments the awe-inspiring thematic sentiments about the amazing and bountiful sense of wonder in the world around us. That sentiment might come off as slightly sappy in writing, but I urge you to give Firefly a listen to fully appreciate the profundity and incredible clarity with which this amazing theme is crafted. Though it has a tendency to drag at a few points, Firefly is, for the most part, a really gorgeous and intriguing piece of dream pop and a wonderful winter listen. Check Out: “Invisible Until,” a beautiful, airy, and hypnotizing track that slowly builds to incorporate more and more musical layers until it features likely every collective member who contributed to Firefly. Quick Take: I’m honestly not sure how I missed the boat on Austin-based The Lennings (or is it just Lennings? I’m seeing it both ways and I always get after people for The Pixies/Pixies thing) until now. The band describes themselves as “proudly blurring the line between Americana and indie pop” and I couldn’t have classified them better myself. Bearing strong influence from both Americana and indie pop, they’ve perfectly carved out their own niche sound that doesn’t especially fit into either camp; it’s familiar yet wholly and pleasantly unique. More importantly, they write damn good songs. Inside is an even-keeled, poppy yet intelligent, light yet engrossing, fast-moving yet fulfilling, and lyrically sharp treat of an album. The instrumentation is tasteful and layered, yet never overwhelms the need of the song- perfectly genre-jumping so seamlessly it never breaks the strong fluidity of the record. It’s hard to name a standout track because Inside is packed tight with catchy, strong, and diverse (yet perfectly matched) songs that could all be singles (and, apparently have been appearing on numerous television placements as of late). The band shines most when they let their folky tendencies fly beneath singer Jason Silverberg’s melodically entrancing and emotionally well-crafted vocal and lyrical delivery. In an age when the fast, Mumford & Sons take on folk is popping up everywhere, it’s refreshing to see a band like The Lennings (more akin to Good Old War, yet even heavier on the indie pop side) offer a more thoughtful, reserved take on the genre that lets their songs breathe and carry a heavier emotional resonance. 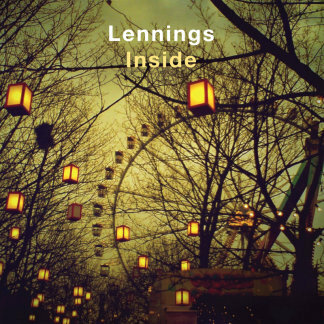 The Lennings are a pretty incredible band and Inside is their best, most balanced effort to date. They’re also an exciting bridge between two of Austin’s strongest musical camps of the moment, and I expect you’ll be hearing quite a bit more from them in the future. Check Out: “Hologram,” the catchiest, most concise, sing-along ready, and perhaps best point of entry to showcase the band’s simply incredible knack for crafting folky pop songs. Why: Noodley, melodic, old school emo riffs? Check. Upbeat, pulsing punk spirit? Check. Ferocious, gang-vocal sing-alongs? Yep. Huge hooks? Plenty of those. Raw, straightforward and powerful production? Of course. Heartfelt, honest, relatable, and emotionally-charged lyrics? You got it! This EP has all of my favorite elements to really punch me right in the pop punk heart. 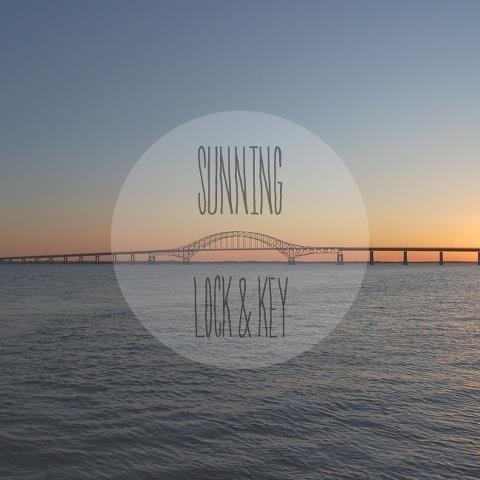 Long Island has an uncanny knack for churning out some of the most sincere bands of this scene and Sunning wholeheartedly carry on that tradition (without much of a hint of contemporary pop punk influence). Lock & Key is nothing I haven’t heard before, but it’s also nothing I’ll ever get sick of hearing (live, in a basement, in the suburbs please and thank you). Check out the closer and, perhaps, most representative track for the spirt of the whole EP, “A Place to Call Home,” and stream (and name-your-own-price download) the entire album on Bandcamp. 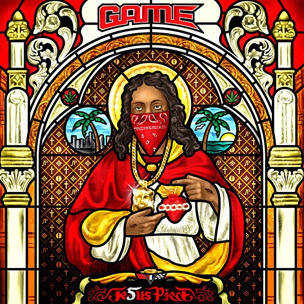 Why: Out of the gate, The Game seemed to be one of the most promising rappers to come out of the west coast in years. Since his strong debut, The Documentary, however, the emcee has had more misses than hits. Perhaps this path has created a lowered standard of comparison, but Jesus Piece finally feels closer to redemption (ironically fitting, considering it’s also a clunky concept album about finding religion). It’s far from perfect, but is still much more focused than The Game has been in years. Pretty much every high-charting rapper of the moment pops up for a guest spot and, though welcome, their verses almost never make sense within the thematic context of the track. It still falls short of what I know he’s capable of at his best, but Jesus Piece is a surprisingly stronger entry to The Game’s discography than I realistically expected at this point. Check out the lighthearted ode to hip hop partying “Celebration,” one of the only non-preachy tracks on the record, and stream the entire album on Spotify. 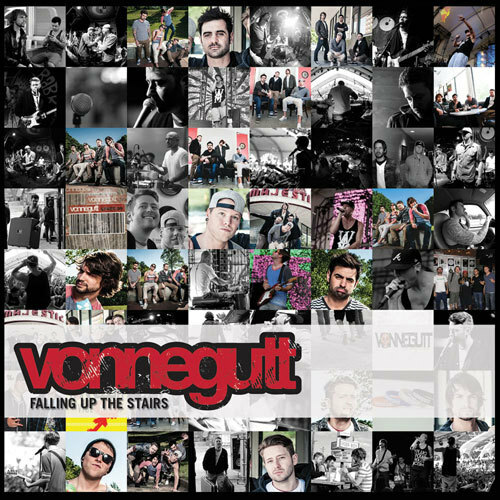 Why: I wanted to get through a review of Vonnegutt’s Falling Up the Stairs without drawing any comparions to Gym Class Heroes, but, since it seems inevitable, I’ll go ahead and get that out of the way. The are quite similar on a superficial level (poppy, rock-infused, riff-based hip hop; actual band members; radio primed singles; guest spots from pop punk singers; sharp, fun lyrics), but quite unique at their core. As a debut, Falling Up the Stairs is breathtakingly refined and confident. The production is super slick and the tracks beg for radio attention (I’d be surprised if this band doesn’t seriously explode). Beneath the fun, energetic, and catchy jams lies more substance than you might catch on a first listen, however, and guest spots from the likes of fellow Atlanta natives Big Boi and Cartel‘s Will Pugh help add legitimacy. Check out the insanely catchy and dance ready single “Going Home” and stream the entire album on Spotify. Why: It’s been over half a decade since Masta Killa, one of the lesser known and more mysterious members of genre-defining hip hop group Wu-Tang Clan, last released a solo album. Though he’s continued to pop up on Clan and Clan-affiliated releases in various capacities, Selling My Soul marks only the third proper solo release from the rapper (and quite a welcome one at that). Masta Killa’s appeal and style has always been more underground and this record is no different- his flow more old school, his lyrics less conventionally structured. He’s not the strongest member of Wu-Tang but he’s certainly one of the most reliable. 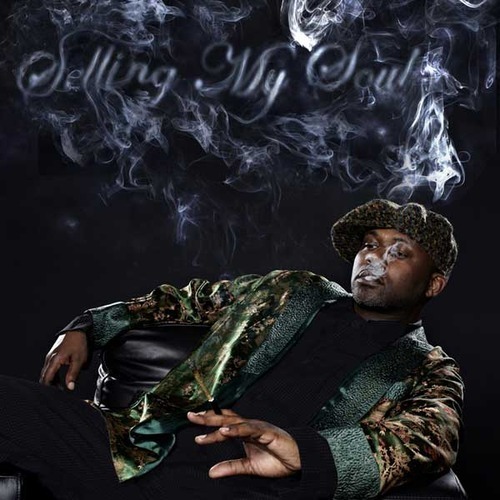 Selling My Soul, though uneven, is a solidly enjoyable entry, true to Masta Killa’s east coast archetype. It’s not going to break him into the mainstream, but it’ll certainly appease fans. Check out the classic Wu conjuring “R U Listening,” and stream the entire album on Spotify. Why: Say what you want about Bruno Mars, but there one’s undeniable fact about the man: he can effing SING. He has one of those voices that truly comes once in a generation and he’s proven over and over again that he can do most anything with it (he even recently demonstrated this very literally in a human Pandora sketch on SNL). His debut album was reasonably enjoyable but often lacked in bite and seemed to be playing it safe. 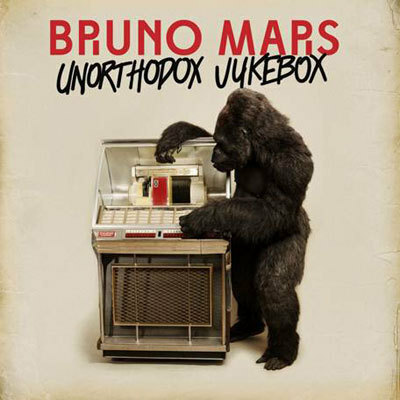 Rather than correct those issues, Unorthodox Jukebox intensifies them. Mars is a strong writer, but hasn’t clearly established his own point of focus and the range here is distractingly broad. There’s also an obvious lyrical disconnect that gives off a vibe of insincerity. Despite these flaws, the handful of songs that work, really work and even at his messiest, Mars’ voice is still a treat to listen to. It’s not a total train wreck but I was hoping for so much more. Check out the single and delightful standout track “Locked Out of Heaven,” where Mars does his best String impression, and stream the entire album on Spotify. Why: Officially released for free against his label’s wishes about a year and a half ago (under The-Dream’s given name, Terius Nash), 1977 is finally seeing a commericial release due to a failed promise of a proper new studio album from the singer. This version is slightly expanded and altered, but remains largely the same. If you missed it the first time, it’s definitely worth a listen- soulful, moody, downright spiteful even, with echos of Kanye‘s 808s & Heartbreak, this is hands-down The-Dream’s strongest output. Check out the soulful, ambient, and bitter ballad “Wake Me When It’s Over” and stream the entire record on Spotify. Why: Pale Fire saw its international release back in November, but, since I missed it the first time around, I wanted to go ahead and give it a mention for its proper U.S. release. 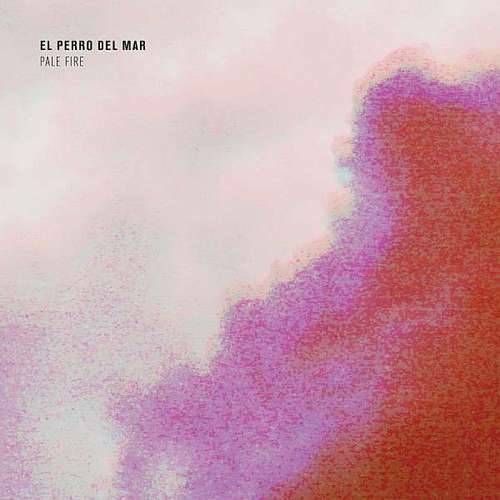 The fifth album from the unorthodox Swedish pop artist, Pale Fire is a layered, entrancing, snythy, experimental romp that borrows influence from ’80s dance music, ’60s baroque pop, and contemporary Swedish indie pop, all in a dreamy, pleasant marriage. It’s also perhaps the singer’s most even and accessible release, which serves as a great point of entry. Check out the delightful, hypnotizing, downtempo single “Walk on By” and stream the entire record on Spotify. 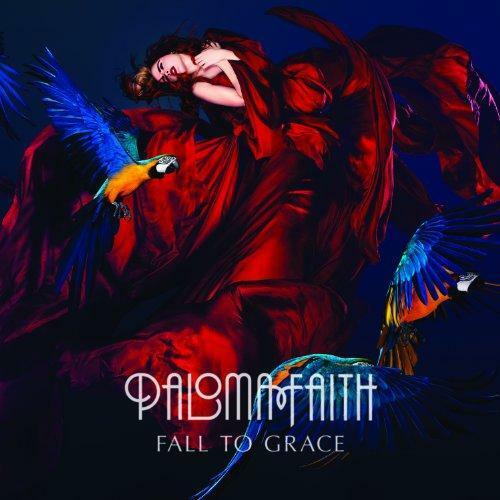 Why: Another international release finally seeing proper U.S. release after 9 months (it’s crazy that labels still do that in the internet age), I wanted to plug Paloma Faith’s Fall to Grace in the off-chance you haven’t gotten a chance check it out already. It’s kind of shocking that Paloma Faith hasn’t properly broken stateside yet; her take on radio pop is refreshingly unique and her vocal talent is unreal. Fall to Grace offers a batch of delightfully unconventional pop songs within a big radio context and proves the strongest effort yet from the skilled singer. Check out the heartfelt, retro-tinged, and delightful jam “30 Minute Love Affair” and stream the entire record on Spotify. 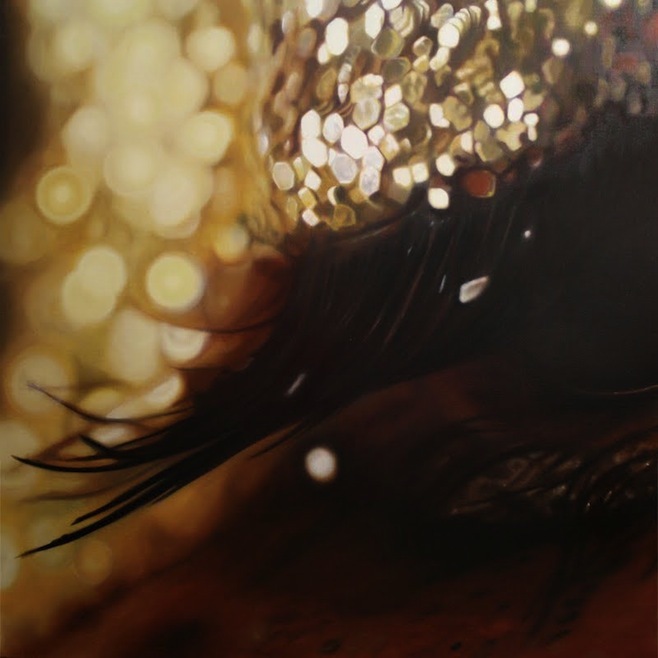 Don’t forget to check out the December Release Spotlight, Part 1! If you have any suggestions for upcoming releases you’d like me to consider for the list in the future, feel free to shoot me an e-mail at [email protected]. You can also find me on Twitter.